Before you make your decision, try loading a few things into the GX's rear. It has one of the tallest load floors we've seen in a SUV in recent years. The 2015 Lexus GX can go where few others can, but how many luxury car owners really take their SUVs off-road? A decade ago, 'tough-truck' luxury was all the rage. But the Lexus GX 460 is strictly a niche product today. For the U.S. the GX 460 has become an increasingly hard sell. Even as gas prices have continued to trend down, Americans continue to gravitate to more road-bound crossovers with better fuel economy. 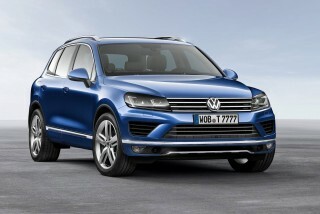 That said, it offers a luxurious cabin for family-hauling, as well as a full-fledged off-roading four-wheel-drive system for weekend warriors. Anyone who's driven a true body-on-frame, truck-based SUV like the GX before will probably feel right at home in it. With a big, torquey 301-horsepower V-8, it accelerates strongly with no flat spots (0 to 60 mph in 7.8 seconds), and the six-speed automatic transmission provides quick, smooth shifts. The standard Kinetic Dynamic Suspension System (KDSS) is a mixed blessing, really, helping keep it level in corners and in precarious off-road situations yet adding a jittery feeling at times on pavement. Ride quality is otherwise good, and the cabin is quiet, as a Lexus should be inside. 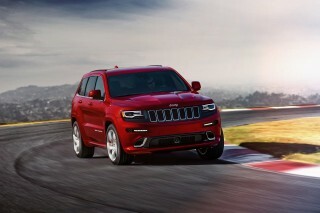 Light, long-ratio steering and a soft brake pedal enforce the idea that it's a traditional SUV at heart. So does the GX's gas mileage, which is wallet-emptying 15 mpg city, 20 highway (and premium fuel is required). Slotted right below the full-size Lexus LX 570, the GX is built on the same platform as the foreign-market Toyota Land Cruiser Prado. It's also cousins with the Toyota 4Runner, but the GX gets the more powerful V-8 engine in lieu of the 4Runner's V-6. The GX also delivers on the Lexus promise for luxurious interior refinement, modern technologies and elegant exterior styling–none of which are typically found on truck-based SUVs. The GX is already entering its sixth year in its current generation, and it hasn't seen many changes since its debut in 2010. However, there were some updates to the exterior last year–including Lexus' new "spindle" grille, LED daytime-running lights and headlamps, and new wheels. As a gently rounded take on the classic SUV proportions--crossed with some obligatory 'machined' brightwork cues here and there borrowed from Toyota's larger trucks like the Tundra pickup--the GX 460 is neither extroverted nor flashy. But the carved-out fenders and tall, imposing beltline do make it look quite trucky, and separate it from the rest of the Lexus lineup, except the LX. Inside, the look and layout are upright and trucklike, for sure, but short on typical Lexus standards for materials and trim details. 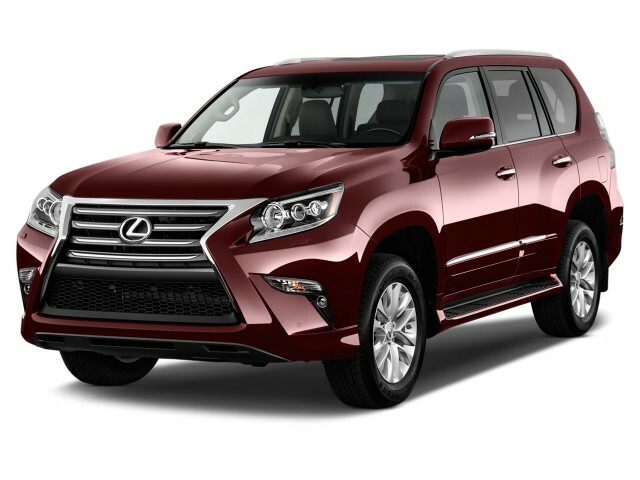 Despite the truck roots of the GX 460, Lexus has equipped it with all the common convenience and luxury features, while the Premium grade steps up to the rich infotainment features and tech extras. The 2015 model also receives the most current version of Lexus Remote Touch infotainment. Intuitive Park Assist, a 330-watt Mark Levinson surround-sound system, and a rear-seat entertainment system are among the extras. 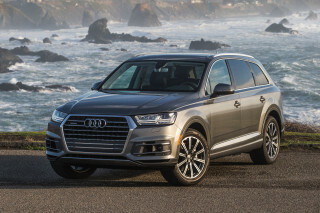 So are two different safety-tech packages that together can bring a pre-collision system, driver attention monitor, dynamic cruise control, intelligent high-beam assist, crawl control, lane-departure alert, and a wide-view front-and-side monitor. The nav system that's available in the GX comes with the Enform suite of services, including a Destination Assist service that allows remote operator-assisted destination programming. Lexus' spindle grille looks great on its sedans; it's a bit out of place on the bluff, buff GX SUV. The 2015 Lexus GX was updated with the brand's new family face last year, and it sees no visual revisions for the current model year. Off-road it's talented, but the Lexus GX isn't the most pleasurable SUV to drive on pavement. The 2015 Lexus GX may not be the most nimble thing on the highway, but it makes up for that with its ability to go off-road...if you're into that kind of thing. Considering the low running boards, chrome trim all around, and what could be seen as a delicate interior, you might not expect the GX 460 to be a serious rock-crawler. It's not; but it's definitely more than another off-road poseur. The full-time four-wheel-drive system includes a Torsen center differential and distributes power 60 percent to the rear wheels in normal driving, with more sent to the rear wheels during acceleration. There's also a low range for this tough body-on-frame ute, a host of electronic controls that will help you maintain control in various conditions, and a true center diff lock that you'd use for sand, mud, or snow. The ride quality is good, regardless of whether or not you spring for the adaptive suspension, though entry-level models don't seem to enjoy choppy roads quite as much as premium-grade ones. You'll do better with a seven-seat crossover, if you plan to use the GX mostly for toting people. The GX looks like a truck from the outside, and it's intended for shoppers who appreciate traditional SUVs. 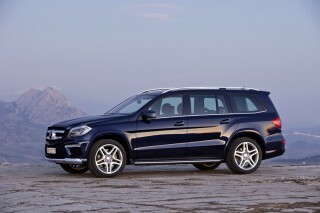 However, it's certainly not rugged inside–instead it feels incredibly refined and well-built. The look and feel of the interior appointments in the GX 460 is also top-notch. The GX has more unique interior pieces (compared to the related 4Runner) than ever before. The controls felt better designed and less cluttered than those in Lexus cars, and we loved the redesigned steering-wheel controls and nice, legible gauge layout and cleanly laid-out center-stack for audio, climate, and nav functions. Crash-test scores are nearly absent, but the Lexus GX has a dollop of the latest safety technology. The GX hasn't been evaluated in recent years by the agencies that crash-test cars, but it does come with a long list of passive and active safety features. Unfortunately, with the beltline brought even higher than before and a thicker back pillar, the blind spots have grown, leaving you to double- and triple-check when changing lanes. A rearview camera is now standard, but a wide-view front and side monitor system that helps a lot more is optional and requires the navigation system. Smartphone connectivity and power everything give the Lexus GX its grip on luxury. The 2015 Lexus GX is dressed to the nines with all of the usual luxury appointments and features, and choosing the Premium model earns you the best in infotainment technologies, too. New for this year, Siri Eyes Free is standard across the lineup, and Lexus Enform gains Slacker and upgrades to the iHeart Radio applications. About the only conventional luxury-SUV feature that's not included in the GX 460 is a power tailgate—the GX has a manual, side-opening rear door instead. Gas mileage is terrible in the Lexus GX; it's put a dent in the hybrid karma Toyota has built up elsewhere. 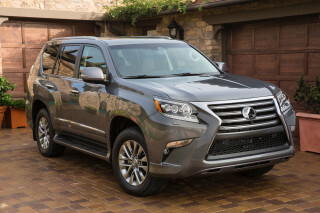 The 2015 Lexus GX comes by its lackluster fuel economy ratings honestly, thanks to its truck-based underpinnings. 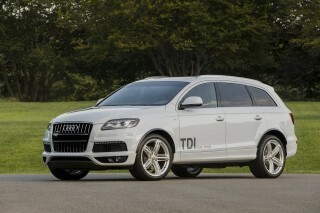 It's rated at 15 mpg city, 20 mpg highway, and 17 mpg in mixed-use driving. And don't forget–it requires premium gasoline. However, we've earned slightly better figures on our own drives with the GX, which is more than we can say for most new vehicles.